Mobile browsers are not new; it has been developed back in 1996. However as technology progresses so as the development of internet mobility. Smartphone, this is one of the best phones ever designed. This is great when it comes to connectivity and calculations. Smartphones uses a lot of mobile operating systems and some of which are; Google’s Android, Microsoft’s Windows Phone, Apple’s iOS, webOS, Samsung’s Bada and a lot more. All these can be installed to some mobile devices then can be upgraded from time to time. 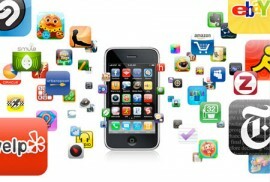 Now, smartphone recently developed multiple applications for SEO purposes. These were designed for the purpose of analytical data, generating reports like dashboard reports which are helpful when it comes to analyzing the overall analytical information of Google for a given website. This makes it easy to look up rather than using a desktop browser. SEM Calculator – This application consists of different types of calculators used usually used by SEO experts. It serves as an aid in planning website advertising programs and SEO. It calculates the effectiveness of CPA or CPM ad. This tool is also significant for those who use Yahoo!, Google Adwords or MSN. This calculator is best for outside office use. Not all the time a person is glued to his or her office chair so this application is of great help. SEO Pro – If you’re familiar with different search engines such as Google PageRank, Yahoo Indexed, Yahoo Inlinks, or Alex rank then this application is actually built for the measurement of these search engines activities when it comes to ranking. This application can surely assist you in monitoring your SEO or Marketing efforts. For some, this is one of the best SEO applications as it can save a lot of domains. Ego – This application is more on the social media sites. However one must have one of the best mobile broadband services. This application also provides Google analytics. This application can give statistic results for RSS feeds, Twitter, Mint and a lot more. Analytics App – This is workable in iPhones, you can get Google analytic information where it also supports segmentation. This application can also produce at least 55 reports in a 100 rows of data. The best part is it can produce a “todays” report, one can then log on using multiple log ins and accounts on the same iOS device. For some, this application definitely worked great. Promote your offers App – If you want to use an app to get new clients you can use the Voupons app. This allows you to send out free Push Notifications to shoppers in your area. Mobile applications are now trending and have been very popular for both online business and consumers. So these applications are very useful and handy to help improve marketing plans and speed up the success of online businesses.